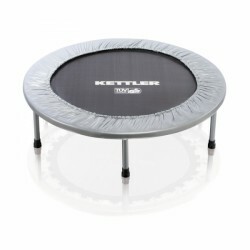 The Kettler rebounder gymnastics is a sturdy beginner rebounder for children and adults. The training on the Kettler rebounder is gentle to tendons, ligaments, and joints. Kettler trampolines are ideal to keep in shape. The trampoline workout strengthens the whole body and is excellent for relaxation. Kettler trampolines are perfectto start jumping on trampolines. The robust steel frame and antislip feet of the Kettler trampolines provide a safe fun for many years. 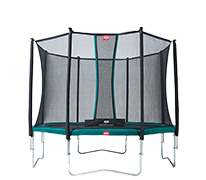 Kettler trampolines have a well-padded edge cover for protecting against injuries.